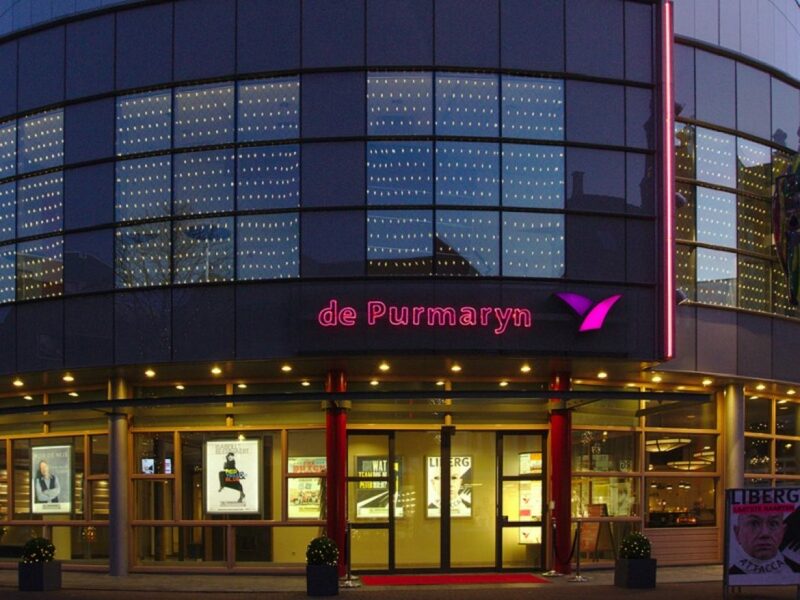 Theater de Purmaryn is a medium-sized theater located at the Waagplein in the historic center of Purmerend with several restaurants and cafés nearby. 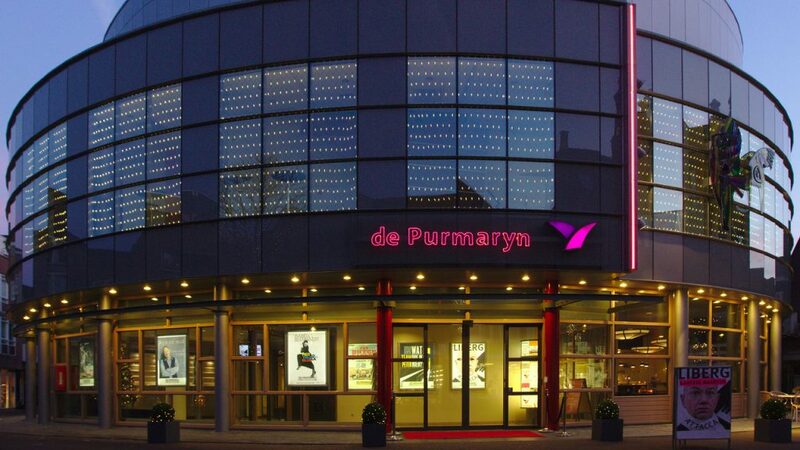 Theater de Purmaryn is approximately 20 minutes from Amsterdam. The theater is easily accessible both by car and by public transport. During the day there is paid parking in the city center, the evening is free (except shopping evenings). In this theater you can enjoy a nice variety of professional and amateur performing arts. You also can enjoy various professional exhibitions during the entire theater season. 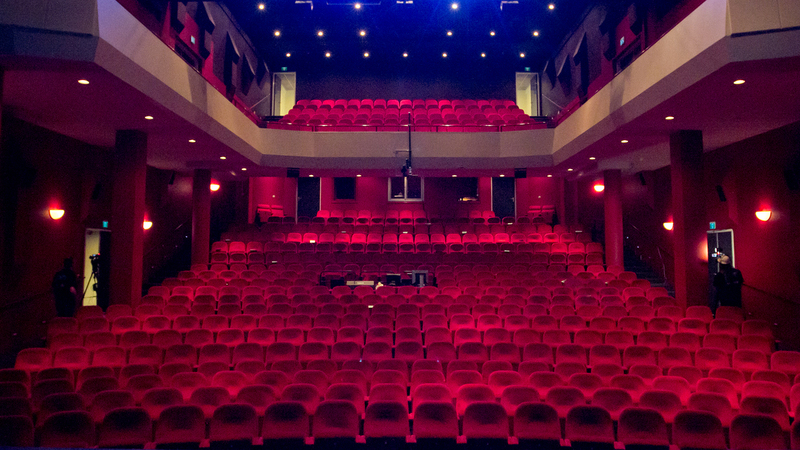 Theater de Purmaryn is in every way comparable to the larger theatres in Amsterdam and offers a full range of shows like comedy, plays, musicals, concerts and dance performances for adults as well as for children. Extensive and varied theater program consists of more than 200 performances and 50 cultural rentals and 70,000 visitors a year. The Purmaryn has a large and a small hall. The large hall can acommodate up to 520 people, the small hall can acommodate up to 200 people. The small hall is cozy and intimate and it is suitable for smaller performances. With two professional and fully equipped theater halls and a cozy lobby, the theater can be transformed into a perfect place for your corporate event or conference; an intimate dinner on the stage, to a large corporate event or a meeting in one of the halls. The large hall has a table stage and 520 seats. There’s a new climate control system and in both halls there is infrared amplification for the hearing with or without a hearing aid. It is a nice theater. And it is accessible for the disabled. A really nice place and also recommended for children. There are performances in such genres as music, theater, cabaret, dance, etc. The variety of performances given there is of good quality and there is something for all ages to go. In addition, a great Grand Café guarantees a good break and drink after a performance. The staff is extremely helpful and friendly. Casablanca | vr 19 april in Purmerend Casablanca behind the scenes! 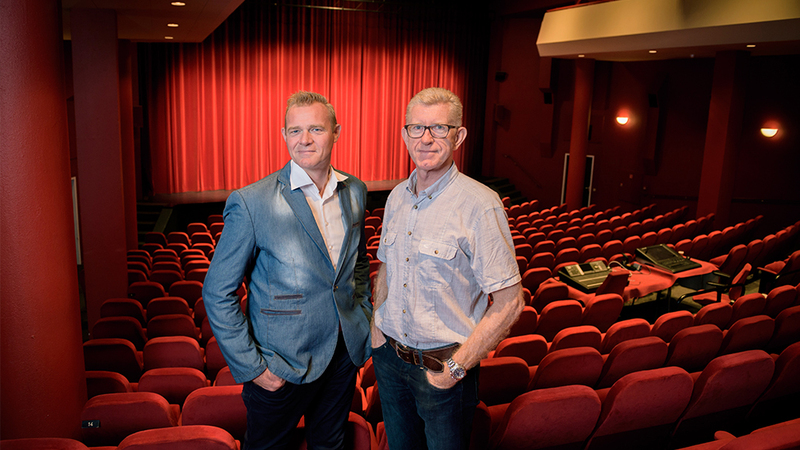 De voorstelling beleefde afgelopen zaterdag haar première en is enthousiast ontvangen door zowel publiek als pers. Op vrijdag 19 april is dit "Indrukwekkend eerbetoon" aan de film klassieker live te zien in ons theater. The Bootleg Sixties | vrijdag 22 maart in Theater de Purmaryn Er zijn vandaag 20 plaatsen vrijgekomen voor de uitverkochte tributeshow The Bootleg Sixties op vrijdag 22 maart. Mooie plaatsen in de zaal, dus wees er snel bij! NRC (****): "(...) Van Dongen is ook in dit programma weer een wonder van expressiviteit. Ze kan zaken die al honderd keer door andere cabaretiers zijn bespot, geheel nieuw leven inblazen. " 's cover photo Theater de Purmaryn updated their cover photo. Tijd voor MAX - MAX Vandaag Leuk als jullie meekijken! Vanavond is de hele cast van Casablanca te gast bij het TV-programma Tijd voor MAX! Celia! | wo 6 maart in Purmerend Morgen wo 6 maart staat LIVE op ons podium: Celia! Omlijst door de swingende #salsa van latinband Timbazo met de muziek van de Buena Vista Social Club. Ronald Snijders | woensdag 13 maart in Theater de Purmaryn Alfabetweter Ronald Snijders is volgende week bij ons te zien. Hij overtuigt je met dit filmpje graag persoonlijk om een kaartje te kopen voor zijn show Groot Succes 2. Thank God it's Donna | vrijdag 8 maart in De Purmaryn Volgende week vrijdag brengen Carolina Dijkhuizen en het Gare du Nord Orchestra een ode aan Donna Summer. En daar hebben wij enorm veel zin in als we dit soort previews binnen krijgen. De Verleiders in Theater de Purmaryn "sterk geschreven [...] scherp gespeeld", "een verrukkelijke rol van Pierre Bokma" en "humoristische scènes en lekkere oneliners". The thater with great acoustic. Close to the stage, thus lots of interaction with the artist. Theatrical performances are of course very nice, but sometimes very expensive.